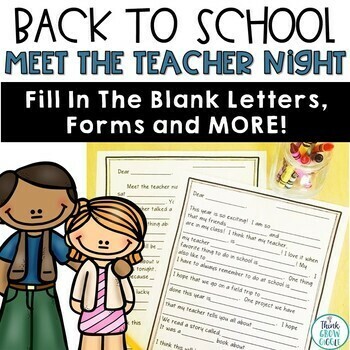 Get ready for Meet the Teacher Night with these fun student letters! 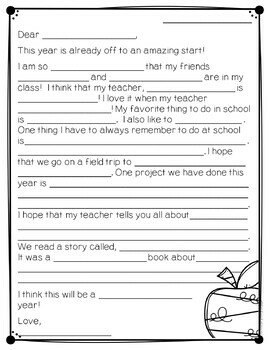 Use these cute "Fill in the Blank" style letter templates to get both your students and parents excited and writing to each other about Back To School time and Meet the Teacher Night! Students complete the first letter to their parents and leave them on their desk for Meet the Teacher Night. They also complete a self-portrait (no names) to see if parents can pick out where they sit based on their illustration of themselves. Parents write back to their children by completing the second letter and leave it on their child's desk for a fun surprise the next morning. 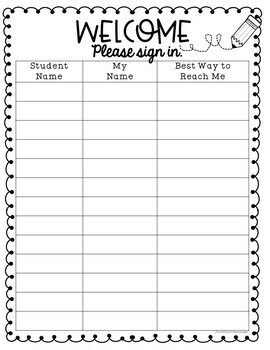 Sign in sheets and other forms also included. "Perfect for my curriculum night! Thanks so much! Includes some great forms!" "These are great! 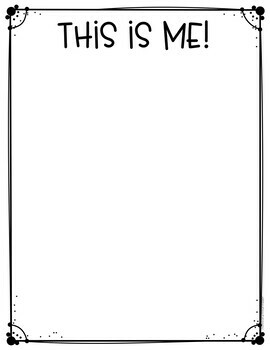 My favorite pages are the "Help Fill Me In" ones. I love getting information from parents about their child. It's so important! Thanks for this helpful resource!" "Great resource, I have it saved in my files for use year after year." NOTE: This pack is NOT editable. Each time you provide feedback TPT gives you credits that you may use towards future purchases.